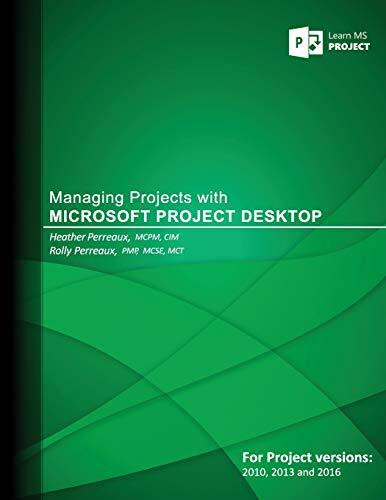 The goal of this training book is to provide students with the knowledge and skills necessary to effectively manage projects using Microsoft Project Desktop (2010, 2013 & 2016). This training book is intended for Project Managers, Project Schedulers, Managers, Supervisors, Team Leads and other people responsible for managing projects. These individuals are involved in or responsible for scheduling, estimating, coordinating, controlling, budgeting and staffing of projects and supporting other users of Microsoft Project. Lesson 1: What’s New in Project? · Understand the new user interface of Microsoft Project. · Initialize Microsoft Project settings. · Create a Work Breakdown Structure (WBS). · Create task relationships in a project schedule. · Configure advanced task information. · Use the Task Inspector. · Create and manage resources. · Assign and level work resources. · Review and finalize the project schedule. · Track and update project schedules. · Manage multiple projects and resource pools. · Microsoft Windows Server 20xx networking. · Basic project management concepts. Heather Perreaux is a Business Development Project Officer for Agriculture and Agri-Food Canada, for the Federal Government of Canada. Heather has over 16 years of hands-on experience and knowledge of Project Management, PMOs and Business Management practices. As a conscientious self-starter she is able to strategize and prioritize effectively. Rolly Perreaux is a Senior Consultant/Instructor for PMO Logistics Inc., a company that specializes in PPM consulting services and training. Rolly has over 30 years of business experience in Network Information Systems, Project Management, and Finance & Administration at the Executive and Managerial level. He has a Business Administration diploma and designations from the PMI, Microsoft, Compaq, IBM, CheckPoint and CompTIA.